Owing to a long history of racial discrimination, Blacks tend to distrust the Caucasian-dominated model of mental health, and so the system must incorporate treatments that appreciate and empower their unique worldview and culture. Specifically, nursing must adopt a transcultural approach to healing, improve educational efforts to better reach Blacks, and advocate more effectively for financial aid in meeting basic needs, which must be met before psychological needs. 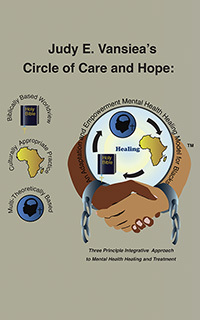 The Circle of Care and Hope is a holistic, interventionist approach to treating Blacks with mental illness and integrating three healing principles: a biblical worldview, culturally appropriate practices, and multi-theoretical healing applications. This unique approach breaks down the barriers of stigma and shame associated with mental health. It empowers Blacks in sustainable healing and overcomes their unequal access to effective mental health treatment. Designed by Dr. Judy E. Vansiea, the Circle of Care and Hope’s three-pronged approach is part of her mission to advocate, mentor, engage, encourage, and empower the lives of people who are marginalized and disenfranchised. Dr. Judy E. Vansiea has been an RN for over 18 years. As a first lieutenant in the US Army, she served as a nurse at Walter Reed Army Medical Center, and is a Gulf War Era veteran. Dr. Vansiea received her Associate of Science degree in pre-nursing from Mary Holmes College in West Point, MS. She also graduated with a Bachelor of Science in nursing, a Bachelor of Arts in social sciences interdisciplinary studies, and a Master of Science degree in mental health psychiatric nursing from the State University of New York at Stony Brook. 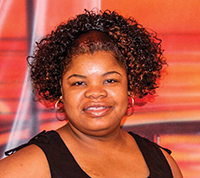 She is an Advanced Practice Registered Nurse Practitioner with a specialty in Mental Health Psychiatric Nursing. She also has a Master of Arts degree in addiction counseling from Hazelden Graduate School of Addiction Studies, and a Doctor of Nursing Practice in transcultural nursing leadership from Augsburg College. Dr. Vansiea has two biological children, two adult step children and is married to Rev. Dr. Samuel E. Vansiea.